Florida Teak is a direct importer of the highest quality Burmese wholesale teak lumber – By controlling the supply chain from cutting the logs to final finishing, we are able to provide pricing well-below the average market price without compromising quality. We maintain an inventory of teak lumber that meets or exceeds the quality standards of the toughest jobs. All our teak is the highest grade FEQ “First European Quality” lumber from reputable sawmills in Southeast Asia and we select and provide Prime Grade “Superdecking Teak”. Prime Grade Teak – “Superdecking Teak” – Our Prime Grade Wholesale Teak lumber is specially selected with 100% vertical grain on side or on the face. It is free of any defects, golden light color, no mineral marks, perfectly straight grain and available in extra long lengths and widths. Produced from only the highest-quality logs available with an appearance that meets strict super-yacht requirements. Can be easily re-milled without waste to decking and margins or used for cap-rails etc. FEQ (First European Quality) TEAK – FEQ Teak lumber is free from major defects, is a uniform golden color and is kiln dried. Mostly used for teak decks, rails, outdoor cabinets, chairs and tables, residential decks, architectural woodwork, doors and window frames. Burmese Teak Decking – Our Premium Grade decking teak, is made from old-growth Burmese teak to insure maximum beauty, durability and non-skid. Burmese teak decking has the most uniform grain and color of any teak, and is the most durable due to its naturally high oil and silica content. It is of superior quality to varieties from elsewhere in the world and is not a fast-growth plantation teak. It does not need oiling and, even if left in its natural state, it can last for centuries in near-perfect condition. 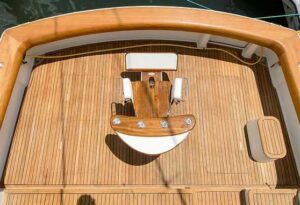 This is the preferred teak of boat-builders and architects who need a durable product resistant to the damage of sun, weather and insects. 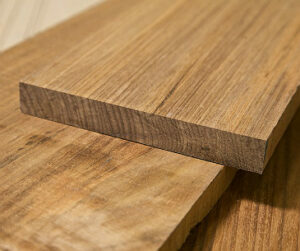 Click here to find out more about Burmese teak. Residential Teak Flooring – Florida Teak custom mills solid teak flooring for residential projects, both interior and exterior. 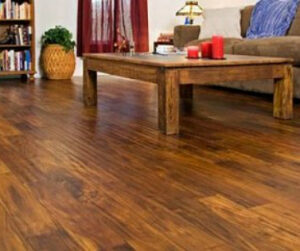 We will choose planks that best fit the desired color and grain to fit your project to insure the desired result. Being that we mill in-house; we can provide planks with a rough “natural” finish, or with a smooth-planed surface, square-cut or tongue-and-groove. Click Here to find out more. Now Offering Plantation Teak Flooring – Due to frequent request, we now carry sustainably farmed plantation-teak from South-America and Africa that is best-suited for residential flooring. This teak has more “character” than Burmese old-growth teak, and for residential flooring it adds beauty and aesthetics. Click Here to find out more.